Dr. Ruben Vardanyan writes a numismatic masterpiece. 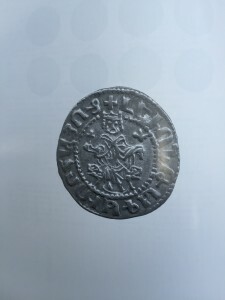 RUBEN VARDANYAN has published through the Yerevan History Museum of Armenia, a treatise on the coins of the first Cilician Armenian king, Levon I, the Magnificent. 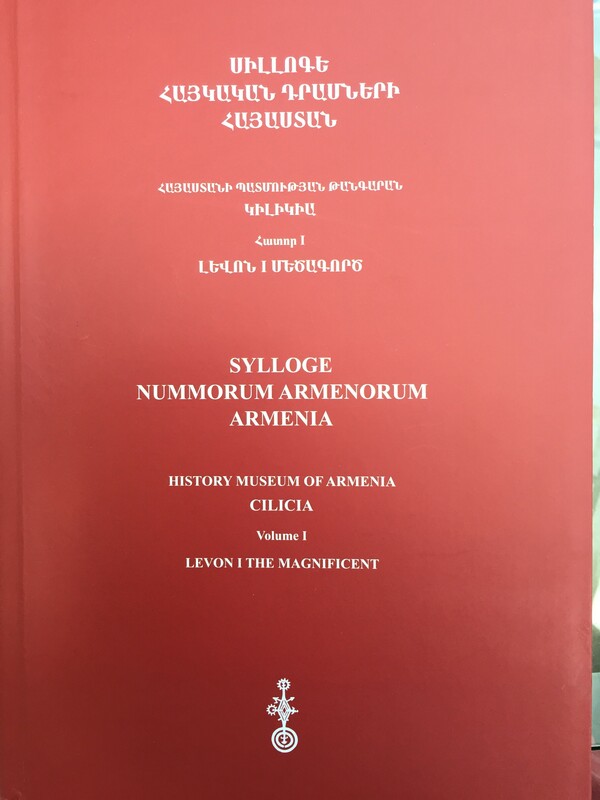 The first volume of catalogues on the Cilician Armenian coins kept in the History Museum of Armenia is devoted to all the coins of King Levon I. This collection contains over 981 coins of this king: 2 Baronial copper issues 51 double trams, 49 half double trams, one quarter double tram, 669 trams and 3 half trams– 206 royal copper coins– all of King Levon I. 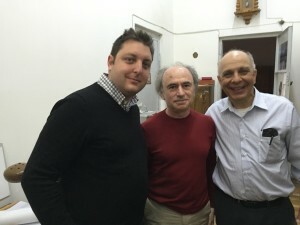 Our good friend Jirair Christianian helped with editing and translation work. 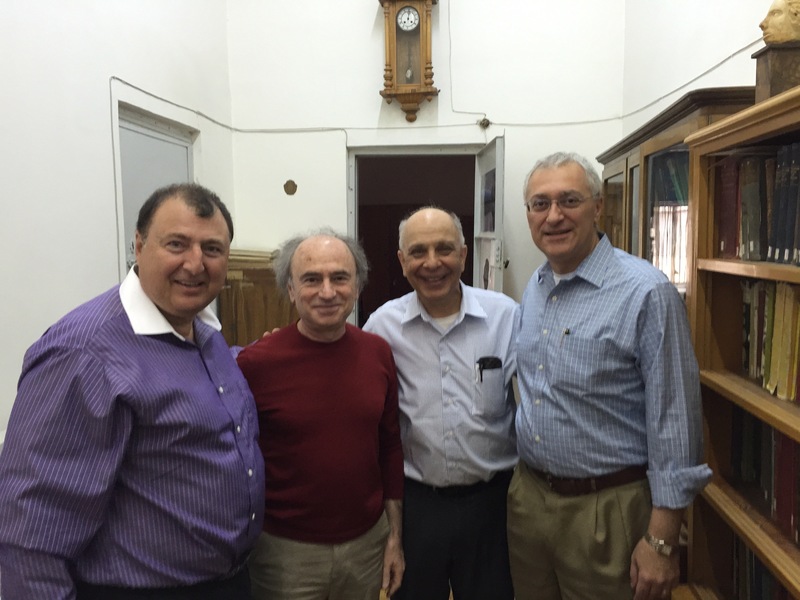 below:Peter Hajinian, Dr. Ruben Vardanyan, Dr Levon Saryan, other photo, editor Dr. Chuck Hajinian, Dr Ruben Vardanyan, Dr. Levon Saryan, Jirair Christianian at the Yerevan History Museum of Armenia- Numismatic headquarters. 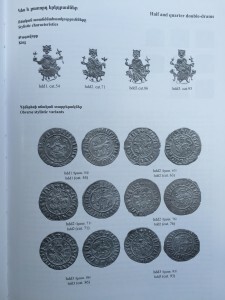 Below are images of the book. 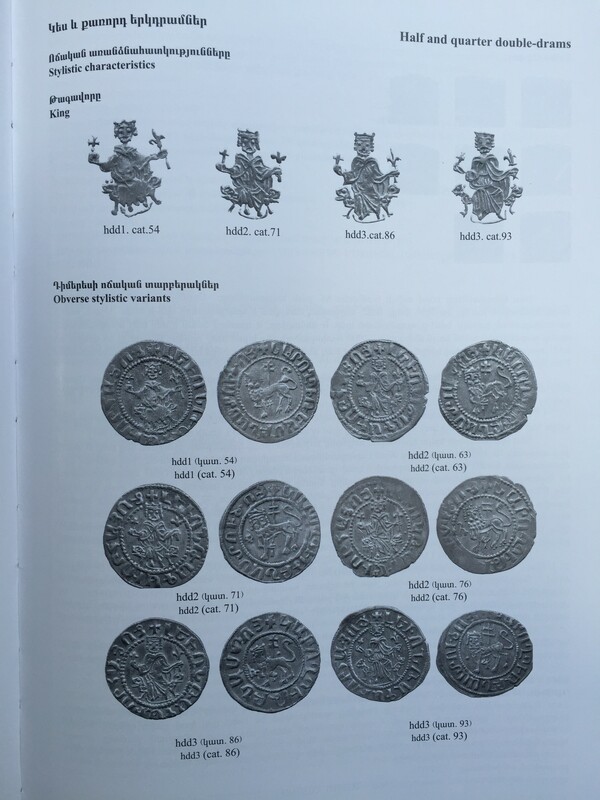 This book is almost 400 pages long and Dr. Vardanyan must be commended for his many years of research and categorizing these beautiful coins of King Levon I. 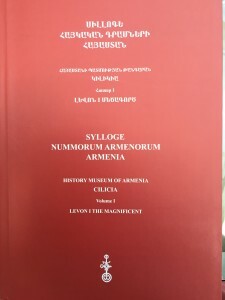 This book, built with much review of previous work of Nercessian and Bedoukian, will become the lead in categorizing the coins of King Levon. Ruben’s hard work will bring about a greater understanding of King Levon the Magnificent coinage and expand the worldwide collecting of these rare treasures of Armenian Cilician history for all the world to enjoy. Congratulations to you and your staff Ruben from all of us at the Armenian Numismatic and Antiquities Society. A very worthwhile book for every collector and historian.